Today I received from the printer the long awaited delivery of Dr. Robert A. Gilbert’s book, Gnosticism and Gnosis. It is a cracking read and I commend it to anyone with an interest in this subject. It is not a difficult book to engage with; the language is simple and to the point, yet it could so easily have been written in the highly specialised language known only to those scholars of ancient stuff who have forgotten what a politically-free English language looks like. In short it is not written in mumbo-jumbo or psycho-babble. Also, at £9.50 it is not expensive. I've studied this area of ancient history for much of my adult life, and like other people I have been amazed at the extraordinary inferences expressed as 'real history' by many writers who ought to know better. It has grown, unnecessarily in my view, into being a politically complex subject. Nevertheless, the author, who is well known for his accurate research, introduces the subject of Gnosticism in a way that leads the reader to the heart of the matter without the reader needing a religious experience to understand it. This comes as no surprise to me because the author and his many books are well-known to me. He has studied this area of ancient history for very many years and in this book, Gnosticism and Gnosis he provides a clear, concise and objective overview of the phenomenon of Gnosticism, tracing its origins in Egypt and the Middle East; setting out the variety of its forms and beliefs from surviving gnostic scriptures; and surveying the complex history of the early gnostic schools during the Roman era and beyond, down to the pervasive presence of gnostic ideas at the present day. "The author explains how ‘Gnosticism’ is the label which binds together a broad spectrum of strange, quasi-Christian belief systems that arose within and around the early Christian Church and challenged both its orthodoxy and its very existence. The creators of this alternative spirituality were dualists who believed in the absolute distinction of matter and spirit, and taught that the only way in which humanity can be drawn back into the being of the one, true God, is through the revelation of a special saving knowledge: the Gnosis. But their challenge to the Christian faith failed and the Gnostics faded away. Or did they? 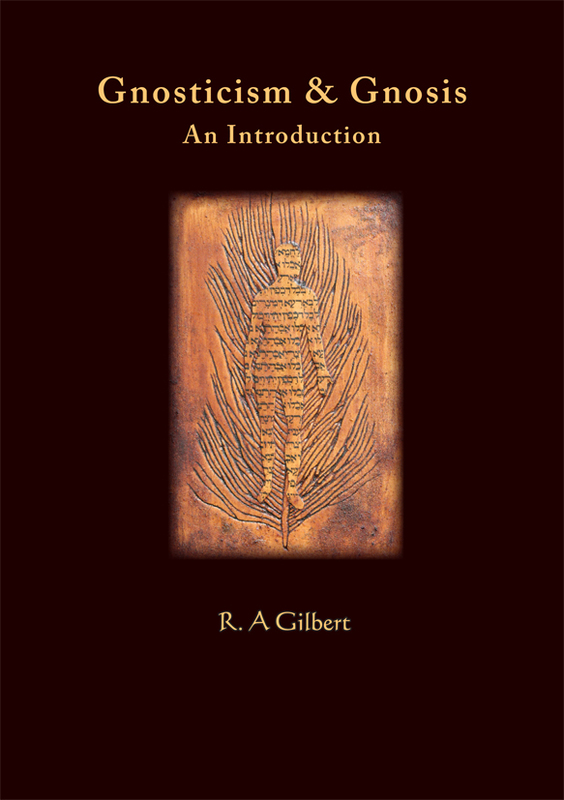 Dr. Robert A. Gilbert is a writer and retired antiquarian bookseller. He has written and lectured widely on Western esotericism and Christian spirituality, and is currently the editor of The Christian Parapsychologist. Among his many books are Elements of Mysticism (1991) and The Treasure of Montsegur (1987, with Walter N. Birks). He is also the editor of Knowledge of the Heart: Gnostic Movements and Secret Tradition: Transactions of the Eighth International Canonbury Conference (2008). Dr. Gilbert was born and educated in Bristol, and read Philosophy & Psychology at the University of Bristol. Now retired, he lives with his family in North Somerset.